On the same day Andy Pettitte reportedly told the Yankees “to go on without him”, the Tampa Rays delivered the same message to Matt Garza. 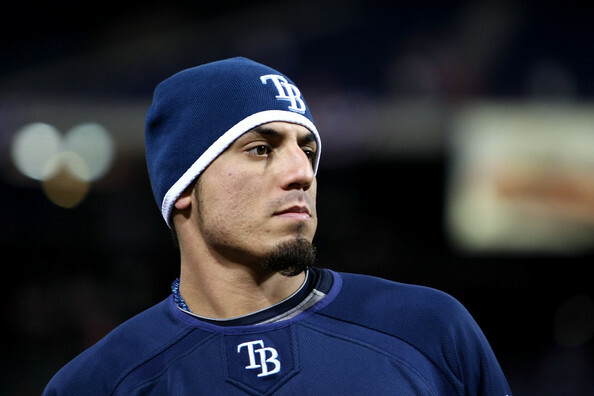 Could both the Yankees and Rays be better off with Matt Garza in Chicago? In an eight-player deal with the Chicago Cubs, the Rays sent Garza to the Windy City in exchange for five second-tier prospects (none of the prospects ranked in either Baseball America’s or Keith Law’s preseason Top-100 list, and only SS Lee Hak-Ju ranked among Law’s top-10 Cubs’ minor leaguers), which for some Yankees’ fans might be perceived as another missed opportunity by Brian Cashman. Of course, such sentiment ignores the Rays likely unwillingness to deal Garza within the division, but the fact remains that yet another starter has changed teams while the Yankees continue to stand pat. Ironically, although the Yankees continue to remain patient, today’s trade of Garza actually increases their chances of making the playoffs by further weakening one of their most formidable competitors. Despite having a depleted starting rotation, and having to contend with a reloaded Red Sox team, the Yankees will probably enter 2011 with a better chance of making the post season than they did last year. Unless a surprise team emerges from the Central or West divisions (and those teams haven’t done much to improve themselves), the Yankees could face less competition for the wild card, which would allow Cashman to continue biding his time until the right deal comes along. From the Ray’s perspective, trading Garza isn’t exactly a bad move, even if the prospects they received from the Cubs are less than impressive. Because he is eligible for arbitration, Garza is looking at a very healthy raise that could take his salary to around $6 million. Although Tampa has spent most of the offseason shedding salary, and therefore should have payroll flexibility, such an expenditure could prove to be unpalatable to a team in the process of retrenching. Assuming the Rays believe they can not contend in the short run, it makes all the sense in the world to turn over a rotation spot to Jeremy Hellickson, shed as much payroll as possible, and accumulate prospects and draft picks in the process. It should also be noted that Garza’s reputation seems to be a notch beyond his actual performance. Instead of being the ace that many portrayals have suggested, Garza is really more of a middle of the rotation arm. Last season, Garza’s ERA+ was a league average 101, and he ranked 77th among qualified starters with a WAR of 1.8, just behind the Phillies’ Joe Blanton. Over a three-year period beginning in 2008, Garza’s WAR of 7.9 was good for 41st among 67 comparables. Granted, simply qualifying for that comparison usually implies a level of competence needed to accumulate enough innings, but the fact remains that Garza is not an elite-level pitcher. The point is not to malign Garza. After all, a slightly above league average starter (especially one who pitches in the AL East) capable of throwing 200-plus innings is very valuable. He just isn’t a difference maker. However, the underlying philosophy that his trade represents very well could be. If the Yankees find themselves in the post season this year, the deciding factor may not turn out to be the Brain Cashman master stroke for which so many fans have patiently been awaiting. Rather, what other teams in the American League are doing could end up having a greater impact on the Yankees than their own inaction. Think of it as addition by other team’s subtraction.